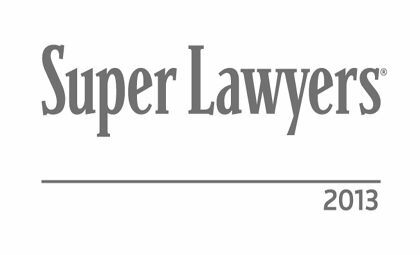 Super Lawyers, a rating service of outstanding lawyers from more than 70 practice areas who have attained a high-degree of peer recognition and professional achievement names our very own Michigan attorney Lawrence Buckfire as a “Super Lawyer” for the 2013 year. Lawrence Buckfire was listed for his knowledge and ability of representing victims injured in Michigan personal injury accidents. Lawrence J. Buckfire earned his undergraduate degree in economics from the University of Michigan in 1986 and his juris doctor degree from Wayne State University School of Law in 1989. He has been in private practice since successfully completing the bar exam in 1989. He is admitted to practice law in the State of Michigan, State of Ohio, and in the United States District Court. Attorney Buckfire obtained his first significant jury verdict just one month after his thirtieth birthday. A Wayne County jury awarded his client $1,425,000.00 for damages relating to a closed-head injury sustained in a slip and fall accident. He had refused the insurance company’s top offer of $75,000.00 on the day of the trial. Since that time, he has obtained millions of dollars in verdicts and settlements for his clients who have been injured or killed in a Michigan accident. Attorney Buckfire specializes in the area of personal injury, including wrongful death, lead poisoning, automobile accidents and no-fault insurance claims, medical malpractice, and nursing home neglect. He is a highly skilled trial attorney with a reputation for meticulous trial preparation and presentation. He is a member of the Michigan Association for Justice and the American Association for Justice and also serves as a mediator with the Wayne County Mediation Tribunal. You can view Lawrence Buckfire’s Super Lawyers listing by visiting http://www.superlawyers.com/michigan/lawyer/Lawrence-J-Buckfire/dc824f72-70df-4a99-b500-47736678ca5c.html or picking up the newest issue of Hour Magazine (see page S-7).